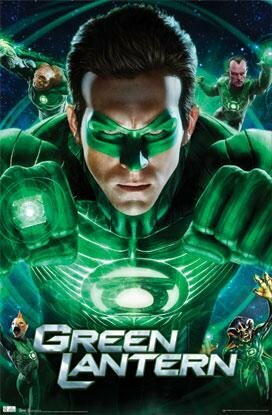 Green Lantern - the only superhero in the galaxy who has an oath, a domino mask, and comes dressed ready for Saint Patrick's Day. Moreover, he the the only hero that my mate, Myron, has created a community web-site for, plus additional pod-cast. Come on - have a read of this very insightful interview I had with Myron, upon a star-ship next to Vega. 1) Apart from the obvious inspiration, what made you decide to develop a site like www.blogofoa.com? A couple of things acted as a primary motivation for me, the first of which is how much I felt I owe to the Green Lantern mythos. I was born with a birth defect that required a lot of surgery at birth, and I still deal with some of the ramifications of it even today. As a child, I needed to maintain calm to deal with some of the episodes which quite often were life threatening and Hal Jordan was a character who taught me to find some much needed inner strength when I was very afraid. So, I definitely felt a drive to give something back to the comics that gave me so much then. Secondly, I just wanted to be an ambassador of sorts for the hobby much like the guy’s on the Raging Bullets DC podcast – they are genuinely interested in the books they read and spend their time talking about what they like rather than focusing on the negative, which is a marked difference to most of the comics Internet discussion sometimes. So I wanted to be another voice talking about the books I’m really enjoying most from DC right now. 2) If you could compare your site to a movie or a piece of music, what would it be and why? Hmmmm…. This is going to sound corny, but I’m going to say the theme from the film “The Last Starfighter”, one of my favorite fun movies from the ‘80’s. It’s kind of a big brassy piece of music that evokes a spirit of adventure and heroism. I’d like to think that the www.blogofoa.com (and our podcast the Podcast of Oa) are trumpeting the quality of the Green Lantern books! 3) What was the first Green Lantern story you ever read? 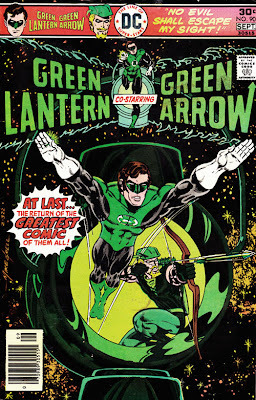 The first issue I ever got was Green Lantern #90 from 1976. It was Denny O’Neil/Mike Grell story about Green Lantern and Green Arrow helping out an alien who in the end was actually a villain being pursued by his own law enforcement. It was during the heyday of Star Trek’s syndication and there were a couple of artistic nods to the show including a really Vulcan looking member of the corps (complete with a Vulcan salute) and ray guns which looked very much like the classic show’s phasers! It was also the first issue after the much acclaimed Denny O’Neil/Neil Adams run had ended and the book had been canceled in 1972. 4) In your opinion, how would you class, classify, and rate, the current Green Lantern comic books, post DCnU? It’s great that there are four titles that make up the Green Lantern family of books – that hasn’t happened since the early nineties but it goes to show how cyclical things are. My favorite book is the main Green Lantern title, I’m really loving the return of Sinestro as a Green Lantern and Hal having to deal with life without the ring. Having these two guys team up really provides a great opportunity to explore two characters which have so much history together yet Johns finds new ground to explore. Hal and Sinestro are two guys that hate the other but yet have tremendous respect each other, although ego prevents that from being said. And they go together like nitro and glycerin! The Green Lantern Corps book and New Guardians both fight for second place and are a tie overall for me. I love the rings to the wall action that the Corp book provides and the mysterious Keepers are very intriguing. Peter Tomasi is doing a great job keeping the action ratcheted up! Meanwhile I love the exploration of the emotional spectrum that Tony Bedard is writing in New Guardians and for me seeing that there is more to Kyle that we previously thought and learning that he wasn’t chosen at random is something I know I needed to make the character more palpable for me as a longtime fan. Plus you can’t go wrong with Tyler Kirkham’s art! 5) Out of the Earth GL's, I always had an affinity for Kyle, a sadness for Hal and John, and a mixed opinion where Guy was concerned. Kyle was the hero who made Green Lantern fresh and exiting again - Hal was the character who no one really knows how to write for (except Gerard Jones back in the day) - John is the man who keeps on getting reinterpreted over the ages - and Guy, he was at his best in the hands of Keith Giffen. 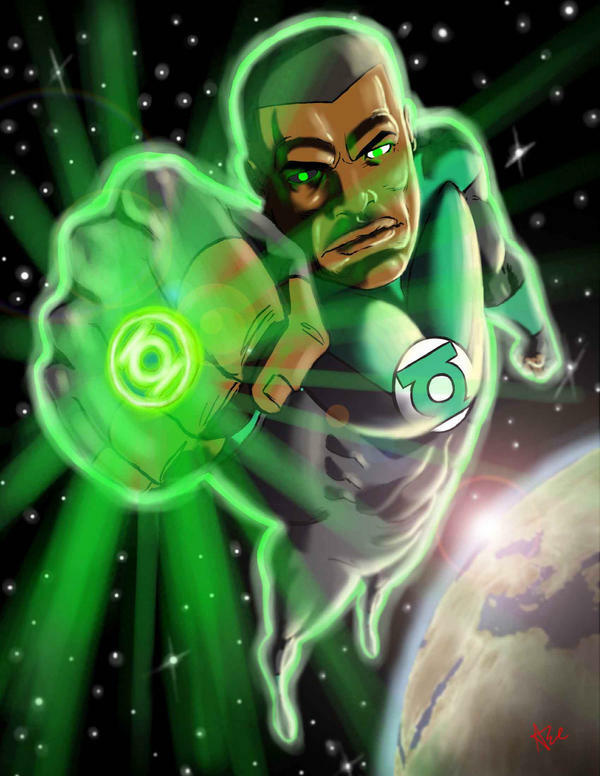 What's your opinion on the Earth Green Lantern's Myron? I’m first and foremost a Hal fan – he’s the one that brought me to the party and I’ve always felt a deep connection to him. I always saw him for more than what was on the page, that there were a lot of reasons for the way he acted that were deeper than the surface. I think you’re exactly right about how writers didn’t always have a good grasp on him and it’s that lack of a decisive creative interpretation that hurt the character over the years. I think when the test pilot career became less glamorous they struggled with that, making him everything from an insurance salesman to a truck driver and that just isn’t what a guy like Hal would do. Gerard Jones really got Hal for a while, but he ran into issues with DC editorial who wouldn’t let him move Hal in a new direction and that’s part of what led to “Emerald Twilight”. Jones’ original plot for that story arc which was solicited at the time called for a Green Lantern civil war that resulted in Hal leaving the Corps to make way for a new Green Lantern from Earth that would have let Hal rest on the shelf for a while. It would have been interesting to see where that might have gone, but if not for the way things worked out we might not have had the current run from Geoff Johns, who REALLY gets what’s going on in Hal’s head. Steve Englehart had a pretty good run with Hal, too. Hal’s just a guy with a lot of issues like the rest of us, but somehow he manages push through it and remain in one piece! John Stewart was a tough character to write as well. When he first appeared there was so much of the angry man stereotype that it was hard to find more beyond that. 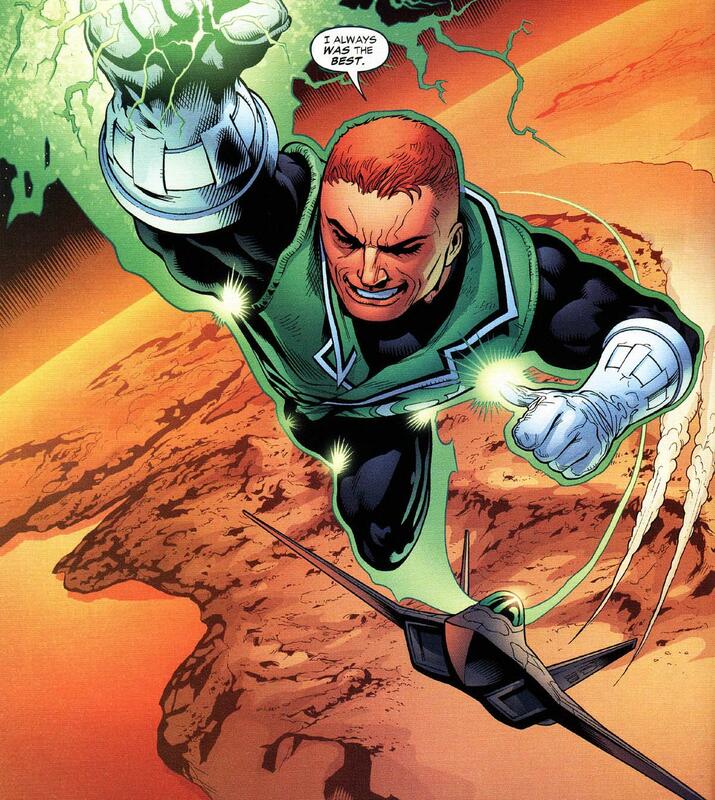 Over the years the character has been fleshed out including the effect that his actions on Xanshi (from the “Cosmic Odyssey” story), married Sinestro’s successor only to have her murdered, been put in and out of a wheelchair and become the first human Guardian during Gerard Johes’ “Mosaic” series. So, yeah, you could say he keeps on getting messed with! I think that Geoff Johns has done wonders for John by making sure to incorporate the Marine backstory from the “Justice League” animated series as well as his civilian job as an architect. There’s a kind of calm intensity with John that makes him a perfect foil for a lot of different kinds of stories. Guy is someone you either love to hate to hate to admit you love! The Giffen stories really defined the character and there’s just something fun about a guy who has no filter and is willing to say what he feels no matter how brash it sounds. At the end of the day, he’s the kind of friend that will take you to a bar for a good time and then gets you in a fight while he stands grinning in the corner. But he’s also someone who you’d want to have your back…..so long as he doesn’t get distracted! I don’t have a lot of history with Kyle to be honest. After “Emerald Twilight” I read Green Lantern for about a year and I couldn’t connect with him. I know part of stems from my feelings for how the mythology was handled to make room for him, but I did give the character a fair chance and couldn’t get past it. I didn’t hate the character, but Kyle just didn’t resonate with me. That being said, I’m glad that Kyle wasn’t cast aside to make room for Hal’s return because I know for a large number of fans, like yourself, Kyle is as much your Green Lantern as Hal is mine and there’s plenty of room at the Green Lantern table for all four of them to shine without being at the expense of the other. And I’m finding more about Kyle to like as time goes on! 6) What do you think about the 'non-earth' Green Lanterns, as well as the concept of Oa, the Guardians, and the circle of light? I’ve always been a bit of a science fiction fan, so I think the mythos behind the whole Corps and the Guardians was something that instantly appealed to me. In the past, some comic fans thought that the existence of the Corps meant that Hal wasn’t unique, but I always felt that the fact that he was a part of something larger was something that made him more unique. When you see an alien member of the Corps, you know there’s a story behind that character that makes them special and there’s a reason that this being was chosen that makes you want to find out more. I find that the number of ways the writers have come up with all these characters that are alike in their purpose but each with a unique and interesting back-story is one of the most attractive parts to the mythos. I think the Guardians have certainly had a colored past. They were always these all-knowing beings who saw the universe for the bigger picture at the expense of the value of the parts that make it up, but we’ve seen that change and evolve under Geoff John’s tenure. Now we’re finding that there was more to the creation of Green Lantern Corps than we thought and the Guardians have a much more checkered past that we thought, which I find very exciting. One thing that has re-energized me by the current state of the GL books is that there’s not only a sense of discovery for new readers, but there’s this sense that there was a lot that us long time readers never knew. OK, I know there are some who’s call it a ‘retcon’, but I feel like all of this doesn’t change or invalidate what we knew, we just didn’t know all that we thought we did! It’s kind of like having this piece of cloth that we’ve stared at until we know every thread and then Johns comes along and unfolds that cloth to reveal a much larger tapestry with a tons of square feet of material we never knew lurked in the folds. The same thing with the whole emotional spectrum – it’s such an obvious concept yet no one saw it right before all of our noses! And Johns has done some neat things in the naming of some of the emotional entities. Just take a look at the meanings of Proselyte and Ophidian on Wikipedia – that’s not coincidence! So I love that he took some time to think out some of this stuff – his approach is intentional with everything he writes and very rarely is there a throwaway scene. They may not all be obvious or pay off in the immediate future, but you know that down the road it will come back and hit you between the eyes. 7) Have you ever delved back into the Green Lantern mythos, and if so, what do you feel about Nodell's and Broome's part in there chronology? I haven’t read much of the original Golden Age Green Lantern material, but I have gone back through the hardcover Green Lantern Archives books and read a lot of Broome’s work and I’ve been slowly back filling my collection hoping to eventually fill in all the gaps in my collection of the Silver Age run. 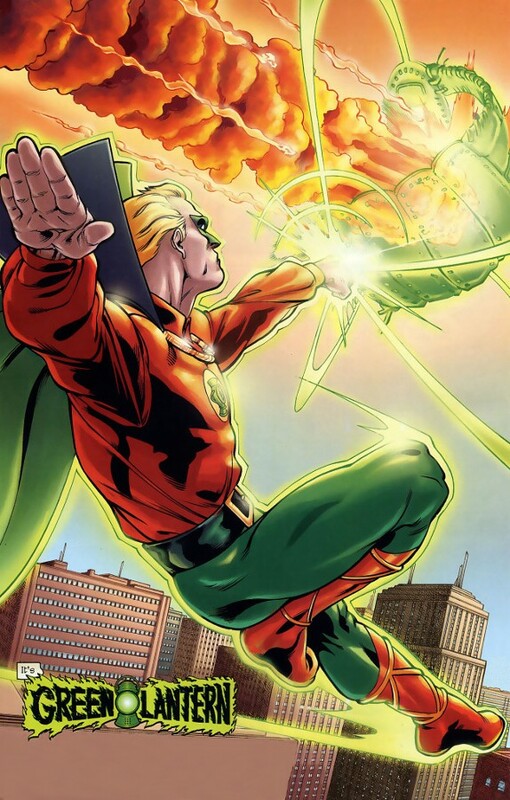 Both were definitely products of their era, in the Golden Age it was very much about magic and mysticism and Martin Nodell found a need way to incorporate that into his stories about Alan Scott. When Julius Schwartz got behind reworking the Golden Age heroes and adding what was a modern twist for the time John Broome stepped in and that’s when things changed from magic to science – albeit science far beyond the times. All those stories were such fun to read, and it’s interesting to re-read them and think of what it must have been like to have been a reader at the time not knowing how those books would shape a whole industry, but relishing in the newness of it all. The stories were very simple and much shorter – a two-issue arc was uncommon from the looks of what I’ve read, a sharp contrast to what we have today in terms of decompressed storytelling and the complexities of modern comics writing. In the end, it’s amazing to see creations from those bygone eras still thriving today through re-interpretation and evolution of those core concepts. I think fans really owe a lot to people like Schwartz, Broome and Nodell for what they’ve given comics fans over the years. It’s a shame that none of them are around to see how the comics medium has gone on to seep into other forms of media! We just lost another great in the passing of Joe Simon. From your phobias your mind might break. The Sea Foam Lanterns will soon be here! Now if you want to know more about www.blogofoa.com, click on the link provided, or join their facebook page (click here), their Google+ account (click here), or their twitter (click here).